Please note that because we receive a high volume of requests for event promotions, we have limited space available for free public service announcements (PSAs). 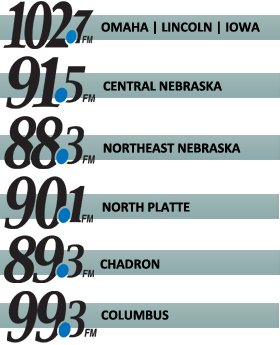 Generally, parish dinners, fundraisers, festivals and events intended for a limited audience within the 102.7-FM listening area will not qualify for free PSAs and may want to consider a “paid announcements” option. If you wish to have your event considered for free on-air promotion, please complete the online form 3 weeks prior to the event. Spirit Catholic Radio reserves the right to determine if an event qualifies for free PSAs. We praise God that so many are listening to Spirit Catholic Radio and we continue to receive numerous submissions for the great events happening in our communities. With so many daily inquiries, each event submitted will be reviewed by our Events Committee through a weekly meeting to determine the best solution for promotion. Because the promotion of each event is important to us, we offer our communities a variety of ways to help get their event noticed. If you would like to guarantee your event is heard on the air, you may want to purchase an affordable on-air announcement package. Click here to purchase non-profit announcements. Please fill out the form below to request free announcements. Be sure to add your event to our complimentary community events calendar!